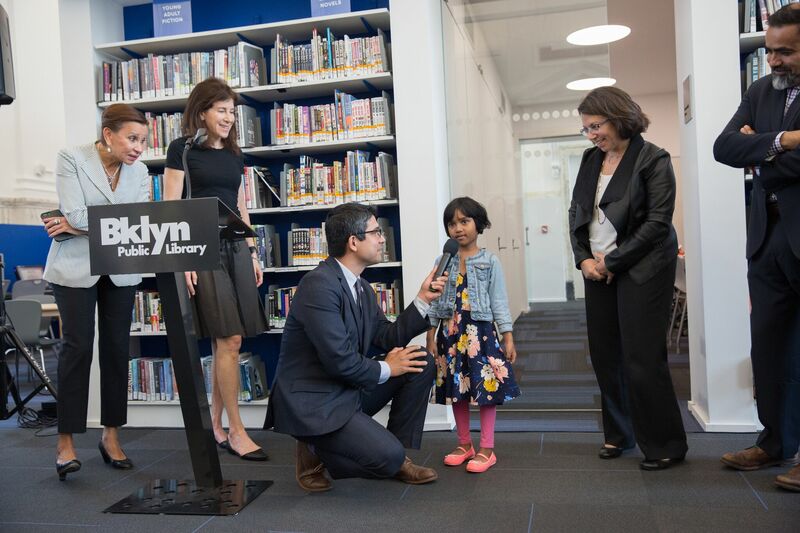 SUNSET PARK – The Sunset Park Interim Library is officially open for use until the new library re-opens in 2020. 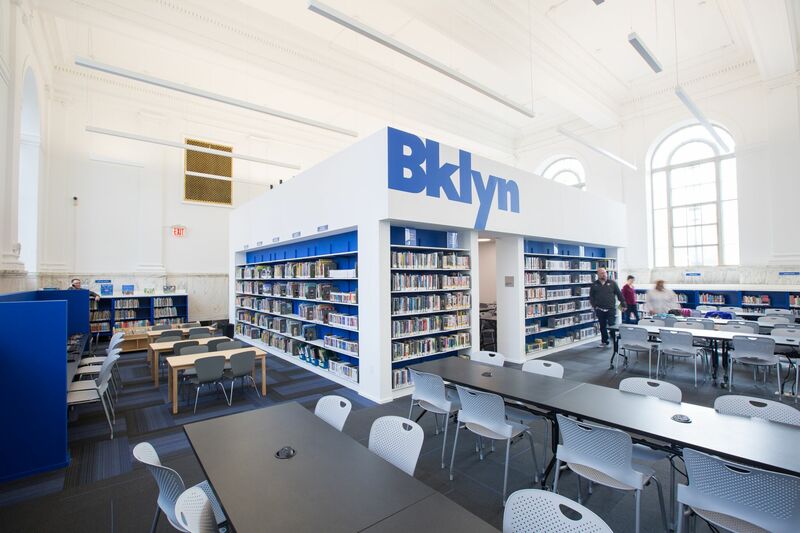 The Sunset Park Library branch is one of the busiest branches in Brooklyn. 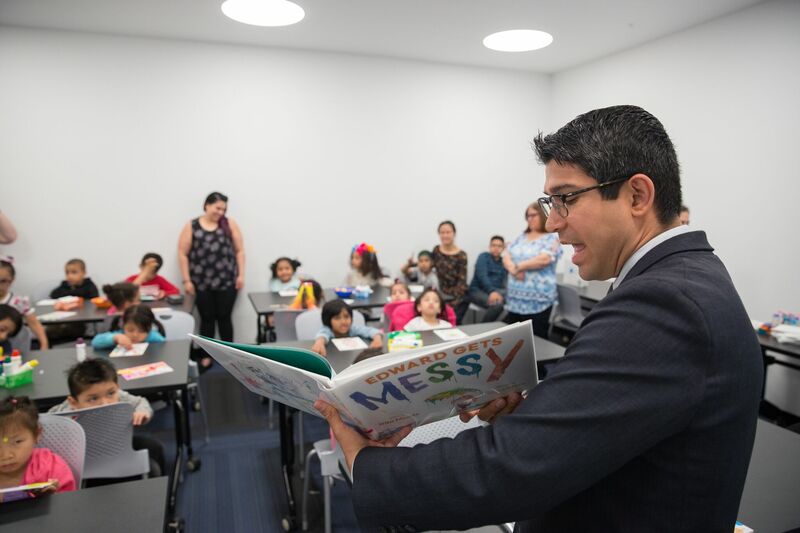 To make sure children and adults were able to meet their needs while the library was under redevelopment, the interim library was made, located at 4201 Fourth Avenue at 43rd Street, and includes laptop loans, classrooms for children’s storytime, and a multilingual collection. 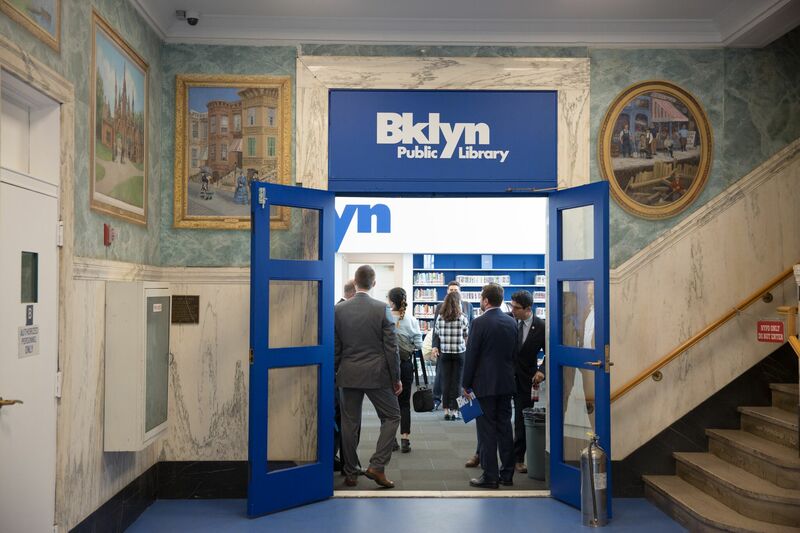 The interim library also looks fantastic with high ceilings, natural light, and of course, the Brooklyn Public Library (BPL) colors, white and blue. The hours of the library will stay the same as the original — 10:00 am – 6:00 pm on Monday and Friday, 10:00 am – 5:00 pm on Saturday, and 10:00 am – 8:00 pm Tuesday through Thursday. Menchaca, who attended the opening, spoke about the historic courthouse space the interim library is located in. He, along with the rest of Sunset Park residents, is also awaiting the opening of the actual library in 2020. 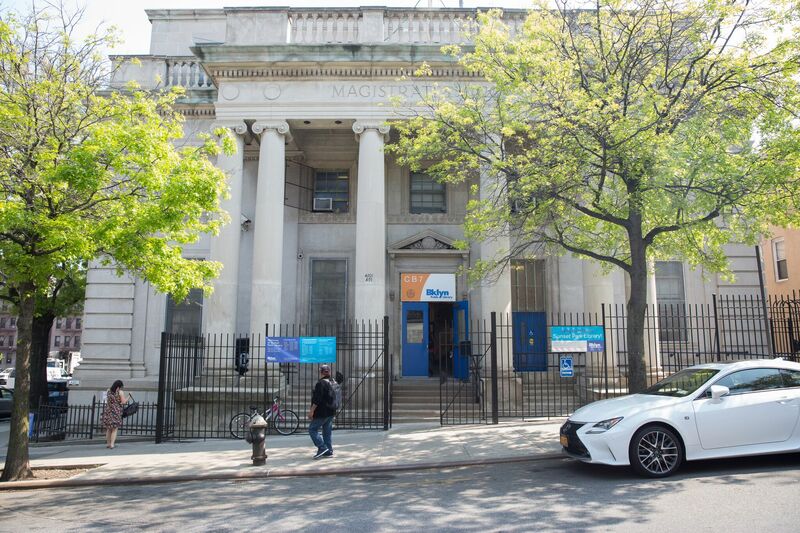 Last year, the BPL announced the approval of a redevelopment plan for the Sunset Park branch, which includes adding 49 affordable apartments on-site, many of which will be reserved for domestic violence survivors and neighborhood residents. The new building will replace the current library at 5108 4th Avenue. 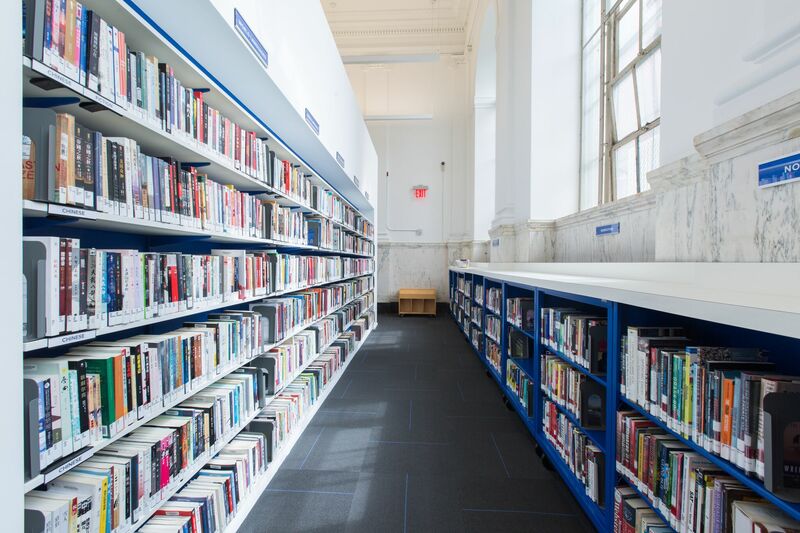 The redevelopment plan seeks to both meet the need for a larger library and provide housing below market rate in the neighborhood, where the growth in median income (25 percent) has been dwarfed by the increase in median rent (63 percent). The library building itself, built in the 1970s, was long overdue for upgrades. The new Sunset Park library will be 20,755 square feet, just about double the size of the previous branch. Thank you for this story, I used it today, a very different feel to it even more so than the Kensington Branch that I use the most.